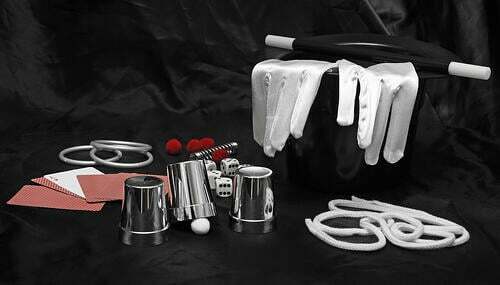 Content marketing is the single, most powerful tool in the digital marketer's toolbox. It's a one-time investment in a marketing asset that lasts forever. Unlike paid ads, billboards, fliers, and any other kind of outbound marketing, a blog post you write today will be bringing you visitors and leads 2 years from now. Not all posts are created equal, however, as some will just seem to fall by the wayside. It's always sad when that happens! But other blog posts just seem to hit the right nerve at the right time, and continuously stream traffic into your website. Interesting enough, in regards to traffic, our top 5 blog posts are written by 5 different authors! Let's take a look at our top performers in Lean Labs history! For many startups, the life and death of the company rides on conversion rate. Converting visitors into leads and customers is the linchpin factor on scaling growth. That's why landing page designs, for startups especially, are important. In this article, we look at 5 startup landing pages and break them down into the good, bad, and ugly. If you wonder how your landing pages match up, read this article to get recommendations on how to fix ugly landing pages as well. It's ironic that this would be our third-highest rated blog post in history, because building a Franken-Hubspot from a hodgepodge of tools is something we discourage. Yet, for many people, HubSpot is too expensive and they are forced to try and build a alternative using cheaper, 3rd party tools. This article was mentioned by HubSpot here. We can all relate to writers' block - not knowing what to write, or what your customers want to read. But by following a simple formula, you can defeat the slump and brainstorm 100 topics that your customers will love to read. And, you can do it in under an hour. There’s too much hype around being a “thought leader.” Having revolutionary ideas is great, but if they aren’t ideas that help your customer, you don’t need to create content about them. As a business, your first focus needs to be on helping the customer get what they want. When it comes to content marketing, this often means answering their questions. It’s that simple. What Kind of Content Helps Grow Businesses? 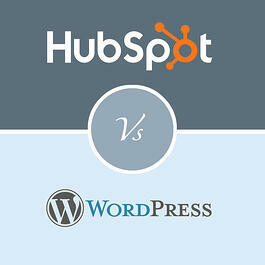 Our runaway winner, the best performing blog post in Lean Labs history is a comparison post on HubSpot and WordPress. Why did we write this article? Because our clients want to know which one is the best fit for them. Of course the answer isn't always the same - the best fit depends on your business and budget. But for those who are trying to decide, there are several factors that go into making this decision. Our job now is to unseat these champions from their positions with new content that can break the records. We're working on some interesting things to bring you in the future. Until that content is published, I hope you enjoy looking at some of the winners we have created for our own business. What's the best performing blog post in your company's history? Let me know!